n army commando was killed and another injured in an ongoing gunfight in Kandi forest area of north Kashmir's Kupwara district on Wednesday. One more army man is said to have received injuries, however, his condition is said to be stable, he said. 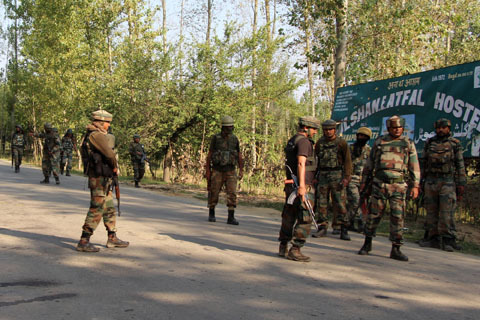 The operation was launched in the area yesterday late in the afternoon after army's 47 RR and the group of militants had a stand-off, the officer said. He said that the militant group later managed to flee from the area. However, today in the afternoon was again intercepted with the help of additional reinforcements of army's 4 PARA commandos. Senior Superintendent of Police (SSP) Kupwara, Ambarkar Shriram Dinkar also confirmed the death of the army soldier. The officer further said that the operation in the area is ongoing.